African Suite presents Abdullah Ibrahim’s regular trio with bassist Belden Bullock and drummer George Gray along with a large string section drawn from the Youth Orchestra of the European Community. Daniel Schnyder crafted the arrangements, which are orchestral reworkings of some of Ibrahim’s compositions roughly spanning a 25-year period. 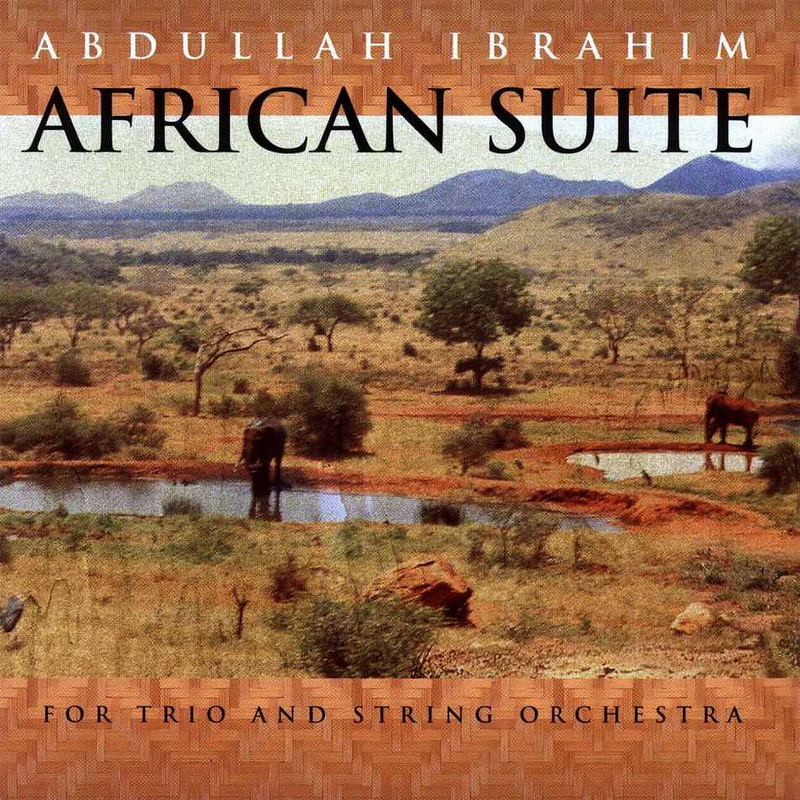 The strings serve to heighten the evocative globalism of Ibrahim’s work, in which the pianist’s South African origin, Islamic faith, longtime European residence, and jazz immersion are incorporated with a dazzling imaginative breadth. Here perhaps more than ever before, Ibrahim’s piano is a subtle tool, coaxing the spare, singable melodies into being and generally hovering over the proceedings like a wise, almost detached presence. Both the pianist and the orchestra get a chance to shine alone, Ibrahim on “Aspen” and the orchestra on “Blanton.” The latter, dedicated to the late Ellington bassist Jimmy Blanton, sounds uncannily like a jazz bassist bowing an arco solo. The rhythm section gets a bit busier on the slow-grooving “Ishmael,” the rollicking “Tsakwe,” the 6/4 sketch “Damara Blue,” and the brooding funk piece “Tintinyana.” For sheer eclecticism and catchiness, nothing beats the “All Blues”-style “Barakaat” and the African-soul-jazz finale “The Mountain of the Night.” But the strings are integrated more effectively on the calmer numbers, especially “The Call” and an absolutely breathtaking arrangement of “The Wedding.” One only wishes something could have been done about the audible hiss on parts of the recording.